Female Wave of Change is very excited to welcome Situmbeko Wambulawae is our Ambassador in Zambia. We are very grateful to see our team on the African continent growing and love to create some waves in Zambia. Situmbeko is a young Zambian who has dedicated her life to helping those around her. She is a storyteller and photographer working as the Communications Officer for an international organization that provides free treatment for children born with clubfoot, a congenital disability. A journalist by profession, she is passionate about changing the narrative of Africa and has travelled across the continent looking for stories of hope and strength. Other than her passion for disability and inclusivity, Stu is also a champion of women’s rights in Zambia. She has an online platform dedicated to telling women’s stories and sharing women’s pain so women from all walks of life can find strength and inspiration in each other. 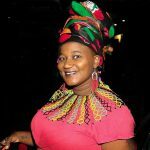 She has organized events that reach out to both men and women through her movement and she uses storytelling as a way of disseminating information. Stu is a Mandela Fellowship alumni who is interested in promoting the well being of women and highlighting the struggles that they go through. In her free time, she is a poet who recites female centric poetry from a personal perspective. She is happy to be part of the female wave of change because she will be able to meet up with other female change makers across the world.